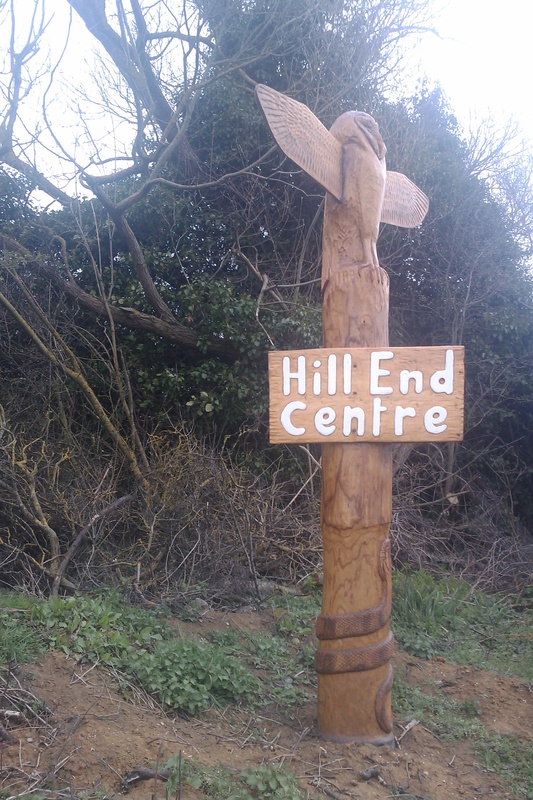 Hill End Residential and Field Studies Centre is a 65-acre site of hillside on the edge of Wytham Woods. The reserve contains a large diversity of habitats including chalk grassland, marshland, developing woodland, ponds and streams. Part of the site is a SSSI and there are cows grazing the grassland. It has facilities for several groups at a time and is used by schools and cubs etc. OCV will be helping build a boardwalk there as part of a bigger pond and hydrology project. Coming out of Oxford on the Botley Road follow the road round to the left at MacDonald's, ignoring the right turn towards the A34 and instead passing under it. As the road forks take the B4044 Eynsham Road on the right. Shortly afterwards the road passes under the A420 and within a mile there is a track on the right clearly signed to Hill End Centre. Pass the first car park on the right and continue to the main car park on the left.